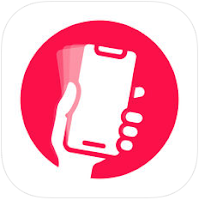 Shaking Stories – Shake Your iPad to Create a Story – TC Net-Works, Inc.
Shaking Stories is a free iPad app that is filled with randomly generated writing prompts. New prompts appear on your screen when you shake your iPad. The prompts are divided into for categories. Those categories are Characters, Places, Problems, and Time. When you shake your iPad a prompt will appear in each of those categories. Tap on the category to read the full prompt. Viewing the prompts in Shaking Stories is available to anyone with or without an account in the app. 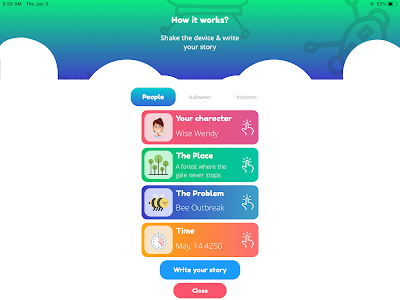 If you create an account in the app, you can write a short story and publish it on the app. The app stalled out when I tried to do that this morning. But judging by the gallery of stories, other people have been successful in publishing their Shaking Stories stories. Speaking of the public gallery of stories, anyone can access it. Stories do appear to be moderated for language. As you can see in the screenshot below, there was an admin note on one story that had an inappropriate word that was removed by an administrator. Shaking Stories could be a possible solution to the age old problem of “I don’t know what to write about” that every language arts teacher has faced at one time or another. 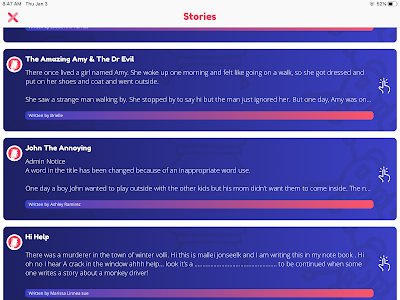 Simply shake your iPad or have students shake their iPads to generate a list of creative writing prompts.